After Todd Gurley and Patrick Mahomes locked down winning DFS lineups to start the year, both find themselves off the DraftKings' main slate. This should create some difficult decisions for fantasy gamers, but loosen ownership in the process. With that said, here are this week's standout plays on the DraftKings' main slate. Coming off a bye, Andrew Luck will look to build on early season success against the Titans. While the Titans have played stout defense, Luck has a stellar 26-9 touchdown to interception ratio. Luck also hasn't taken a sack in four games, playing behind one of the league's better offensive lines. Averaging just over 41 pass attempts per game, Luck provides a solid option for a cash quarterback. After successfully targeting the Raiders defense last week, David Johnson presents another opportunity to do so at a fraction of the price. Johnson has handled at least 87% of the Cardinals' running back touches since Byron Leftwich took over as offensive coordinator. He broke 100-yards in each of these games and added two scores. With the Raiders allowing the 2nd-most rushing yards (1,156), Johnson looks like a cash lock. Remaining the lead back in Tennessee, Dion Lewis did not produce from a box score perspective in Week 10, but his usage remained promising. In the Titans' last two games, Lewis has out-carried (39-17), out-targeted (6-2), and out-touched Derrick Henry in the red zone (12-7). Indianapolis has allowed the 4th-most receiving yards to backs (571), providing an avenue for Lewis' success. Lewis should be mixed into GPPs as a salary saver. On the season, DeAndre Hopkins ranks 8th in targets (91), third in receiving yards (911), and third in air yards (1,169). In Week 9 without Will Fuller, Hopkins saw a massive 50% of the Texans' targets and air yards. Washington has allowed the most yards to receivers over their last four games (940), making Hopkins a priority in cash games. Since moving to Dallas at the trade deadline, Amari Cooper's target share has climbed from 14% to 26%. 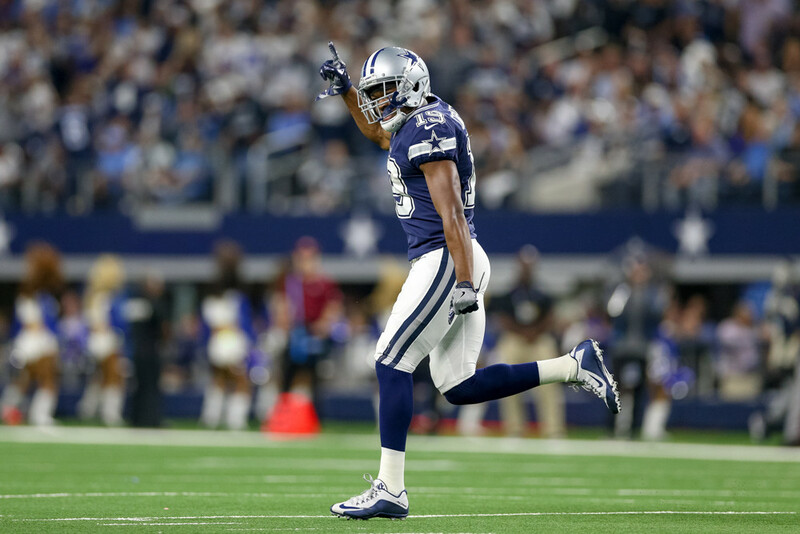 Cooper also saw the 9th-most air yards (197) and 6 red zone targets in his first two games as a Cowboy. Atlanta has allowed the 7th-most yards to receivers (1,708) and the Cowboys remain committed to feeding Cooper the rock, making him a solid cash and GPP play. Looking deep into the bargain bin on this one, Adam Humphries provides a solid floor at a miniscule price. Humphries has played the second-most snaps among Tampa Bay receivers, behind only Mike Evans, while receiving 11 targets over the last two games. The Giants have played middling defense against wide receivers, but guaranteed targets at this price remain hard to come by. Humphries warrants GPP exposure. After a disappointing start to the season, Ricky Seals-Jones has heated up in two games with Byron Leftwich calling plays. Seals-Jones has run 37 and 40 routes under Leftwich, parlaying that volume into 13 targets, 7 catches, and 63 yards. With that many routes and targets, Seals-Jones remains too cheap at a muddled position. He provides a solid salary saving option across game types.